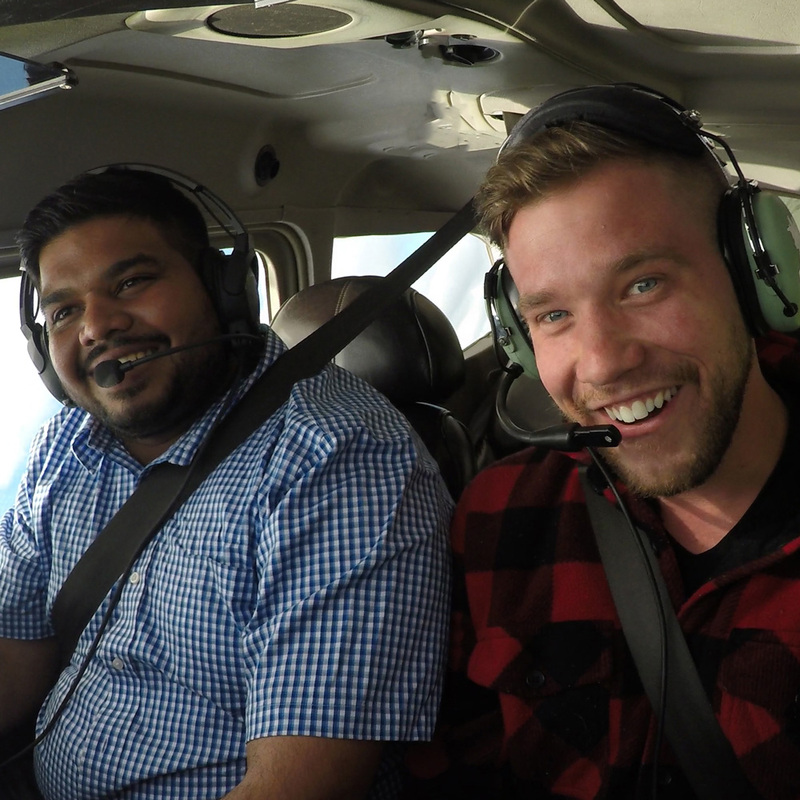 Learn to Fly with McMurray Aviation! 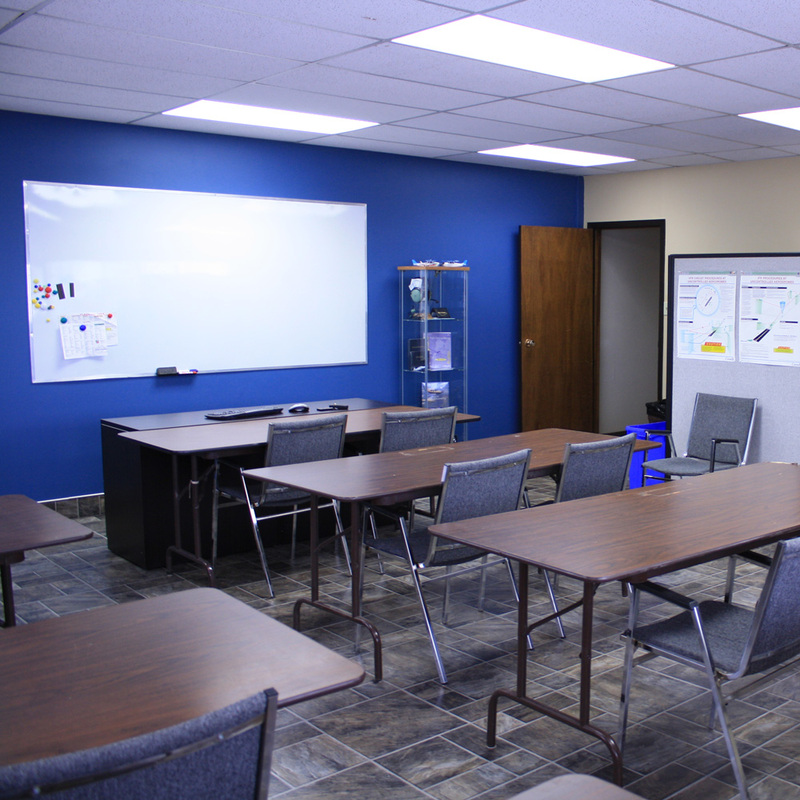 McMurray Aviation provides a flight training program to meet your needs. Over the past years we have developed a reputation for offering quality instruction, a friendly atmosphere and a good value as a flight training academy. Our flight Training is set in a unique environment, where you get the experience of bush flying with the busy atmosphere of a high density airport. Making flights to the Edmonton city centre airport seem like a breeze. 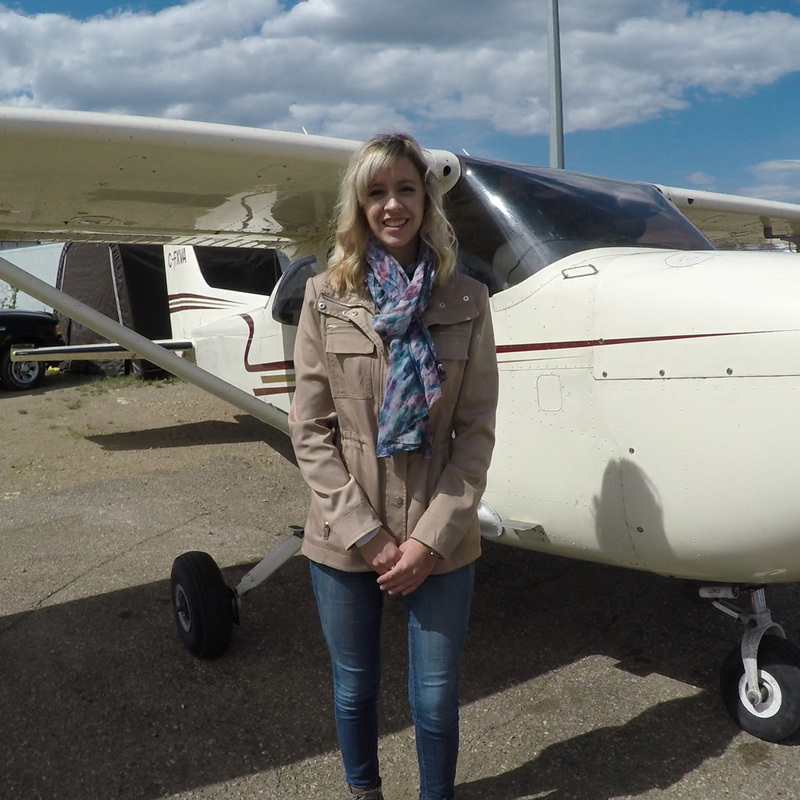 We have years of experience teaching pilots, managing an aviation company and of course, thousands of hours of flying. 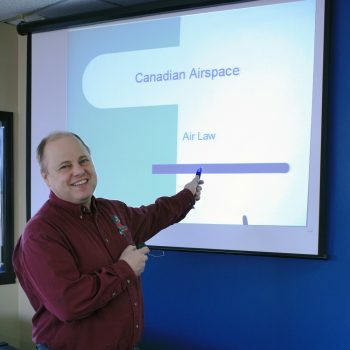 This makes the staff at McMurray Aviation specially equipped to teach students. Still not quite convinced? Try our Discovery flight for only $150. In this hour lesson you’ll get a pre-flight briefing, a chance to take over the controls, and get a taste of what it really feels like to fly. This will count as your first logable hours in your pilot log book. Think you want to learn how to fly but aren’t to sure? The discovery flight is designed to help you understand what flying is about and all that’s involved. 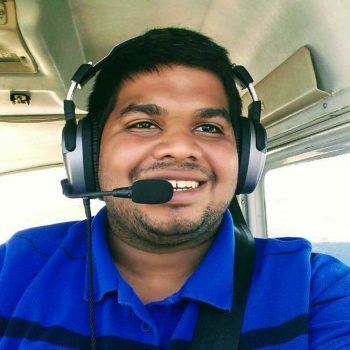 Allow yourself to get introduced with the operation of the aircraft where a certified instructor will take you up on a twenty minute flight where you sit in the pilot seat. In the airplane you will start, taxi, take off, and help land it. The cost for your discovery flight is only $150, with $50 going towards your ground school fee should you pursue your license. Your discovery flight will actually be your very first loggable flight lesson and probably the beginning of a lifelong passion. Must pass a Ministry of Transport examination (Category 1, 3, or 4) by a Transport Canada certified Aviation Medical Examiner. 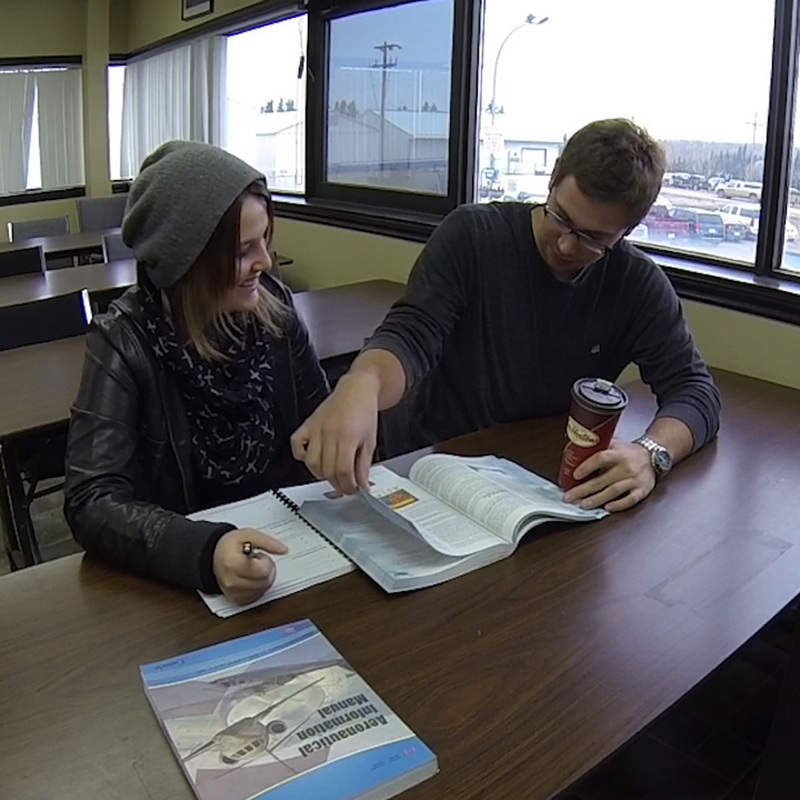 Minimum 40 hours of ground school is not required by Transport Canada, but recommended. 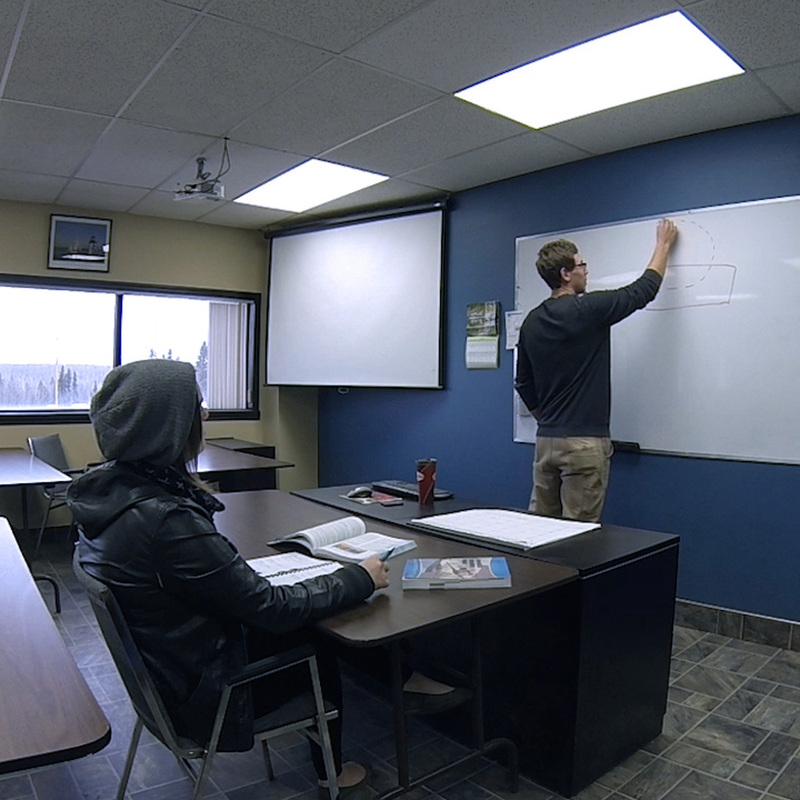 McMurray Aviation provides a 50-hour ground school which helps ensure a higher success rate in the written exam, or online ground school available through our partner. “From the Ground Up”, “Flight Training Manual”, Pilot Training Record (PTR), Pilot Log Book, Aeronautical Charts (maps), Douglas protractor, ICAO chart ruler, E6B Flight Computer, Study and Reference Guides, handouts and pamphlets as required and a Flight Bag. 100 question multiple-choice exam by Transport Canada. Upon completion of your flight training, a flight test shall be conducted with a Transport Canada appointed Flight Test Examiner to assess your flying skill. The above total cost is based on the Transport Canada Minimum time required. Below the total cost is based on the average time a student spends to complete their license. 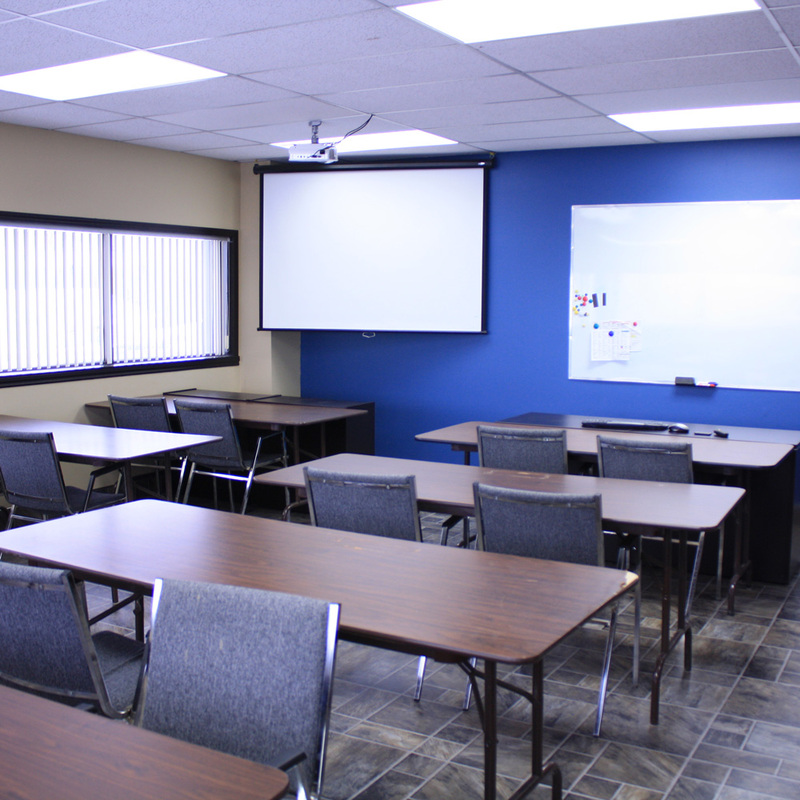 Must pass a Ministry of Transport examination (Category 1) by a Transport Canada certified Aviation Medical Examiner. The above total cost is based on the Transport Canada Minimum time required. Below the total cost is based on the average time a student spends to complete their license. no test required, but the candidate must meet the skill requirements.